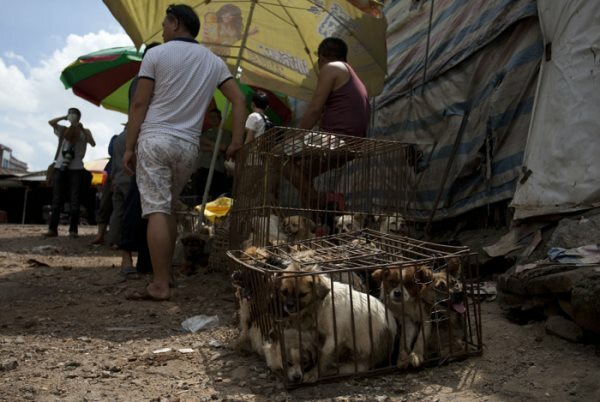 AFRICANGLOBE – Yulin in Southern China has started the annual dog-meat eating festival, despite heavy criticism and protests from animal rights activists. Vendors slaughtered dogs and cooked their meat in dozens of restaurants across the city, despite outrage over the cruelty and potential for spreading disease associated with the largely unregulated industry. Activists bought dogs from dealers who had been planning to slaughter them, while local residents complained that outsiders were ruining what they consider a local tradition. 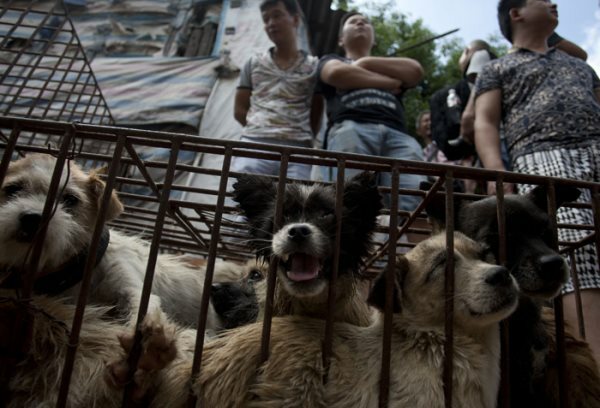 An estimated 10 million to 20 million dogs are killed for their meat each year in China, and the Yulin event has become a lightning rod for criticism. Many of the dogs are believed to have been pets stolen from their owners or simply picked up off the street.They are stuffed in cages, and trucked to the city about 2,000km south of Beijing in the province of Guangxi, often without food or water. Cats eaten at the festival are subjected to similar ill treatment. The local government has in recent years sought to disassociate itself from the event, forbidding its employees from attending and limiting its size by shutting down some dog markets and slaughter houses. “The so-called dog-meat eating festival has never been officially recognised by government or by any regulations or laws,” said an official reached by telephone at the city government’s general office. “We hold meetings every time before the so-called festival, discussing counter measures such as deploying local police, business and sanitary authorities to inspect and deal with those who sell dogs,” said the official, who like many Chinese bureaucrats would give only his surname, Liu, because he was not authorised to speak to reporters. Opponents this year expanded their campaign to the United States, petitioning politicians in San Francisco to pressure their Chinese colleagues into calling for an end to the slaughter. Promoters say eating dog meat during the summer helps ward off the heat and maintain a healthy metabolism. “It’s been a tradition for years for us to celebrate the festival. We can’t change it simply because they [animal lovers] love dogs,” a local resident said. Opponents say the festival is cruel and has no redeeming cultural value. Activists said rallies held around the country to oppose dog eating, as well as outrage on social media from the growing ranks of dog lovers, are already having an effect.